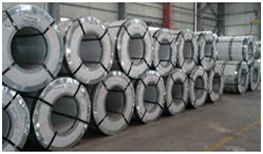 As a leading international trader, ASI already has the necessary relationships with steel producers to perform a role as a bulk breaker at port and as a wholesale distributor, bringing steel from anywhere within our international network and offering an essential feeder service to the retail end of the supply chain. Our wholesale stocking and distribution activities serve customers who wish to purchase steel on a duty paid basis delivered to their premises on open terms. Orders are taken for substantial quantities for forward delivery, with transport from overseas normally by ship. ASI's function is to ensure that the service provided to customers is at least as good as that of domestic producers, even though delivery is from further afield, offering just-in-time nationwide delivery to customers. Our customers include stockholders, service centers and large end-users. Pre-sold stock can be held for such customers and delivered on a just-in-time basis.